Our delicious nutty tasting spelt kernel with the outer layer of bran intact. 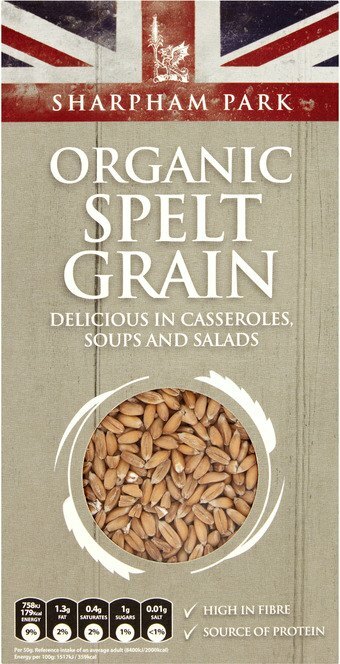 A tasty addition to casseroles, soups or salads or as a high fibre substitute for rice. NEW: Now available in packs of 12 - choose this option and you will buy 10 and get 2 free. Why eat our Spelt Grain?